Bluejay Productions was founded by Mark T. Johnson in Medford, Oregon in 1999, and continues to grow and expand its services to an increasing number of clients. Bluejay Productions provides affordable digital audio recording and production services, live mixing and live recording, sound effects and music soundtracks, and audio engineering consultation. 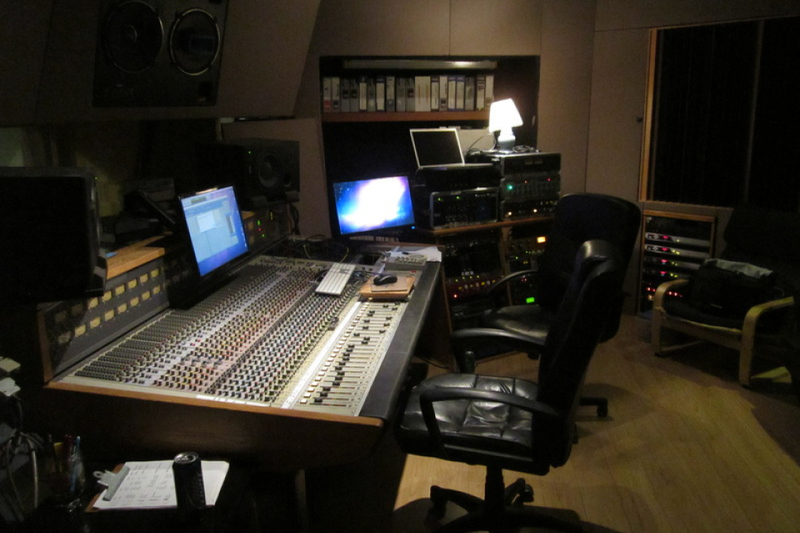 I have been Engineering and Producing music for record companies and independent artists for over 20 years. I specialize in Rock and Pop but I have worked with all kinds of artists including Hip Hop, Country, Folk, Singer Songwriter etc. I started at a small studio in Portland in the late 80's recording primarily to tape. I watched the whole industry change as the digital medium became more available to professionals and consumers alike. The computer based Digital Audio Workstation became an integral part of the modern recording studio just like the mp3 became the standard for consumers and their mobile media players. Because of this some music artists found themselves in their basements more often recording their own albums, some with more positive results than others. To this day I still get the call that says "We recorded our album in our basement, why doesn't it sound as good as the albums you produce ? We want that sound. " I have to explain that the experience of doing something every day combined with skill can yield much better results. I am still a fan of having Hi fidelity recordings even though recordings can be compromised by mp3's. If you like my sound drop me a line or you might catch me chatting in my room on my site. Thanks for reading. We use our gifts to help fulfill yours. The Use Your Gift Foundation is a 501c3 non-profit foundation that seeks, develops and produces aspiring young musicians to help them achieve their musical goals. We help artists through all aspects of the recording process and provide them with the tools they need to take their talents and dreams as high as they want to go.